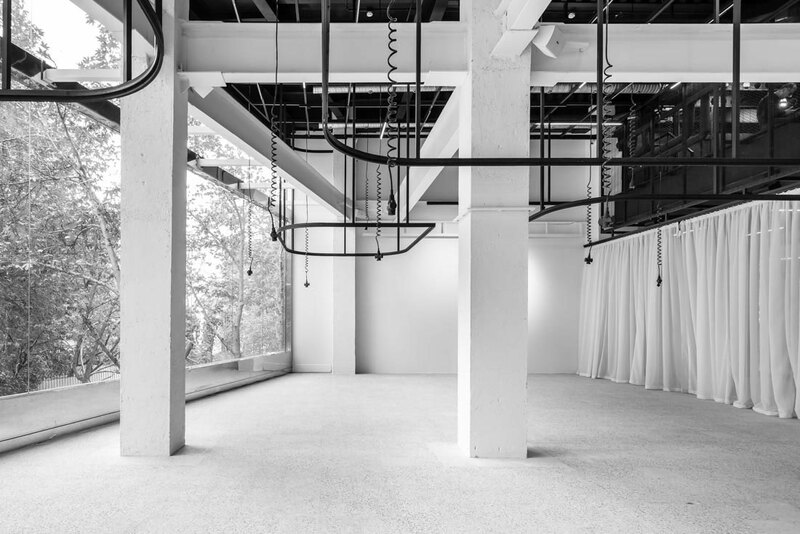 Located in a former industrial space in north Tehran, Iran, “Comode” is a new high-end retail & events space wholeheartedly embracing the concept of modularity and minimalism. 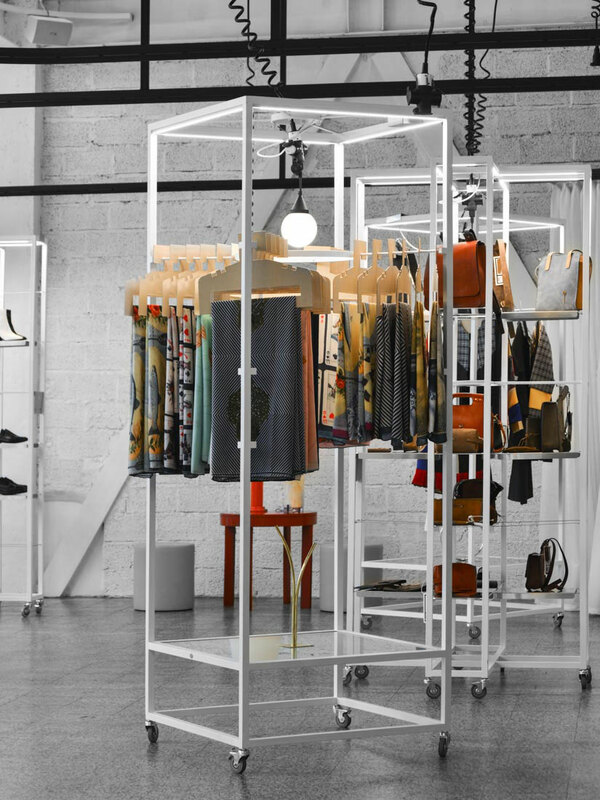 Masterminded by Iranian architect & designer Sina Momtaz, the 200 square metre open-plan space has been transformed into a versatile showroom featuring movable display stands and a system of curtains that can effortlessly “carve out” smaller spaces. 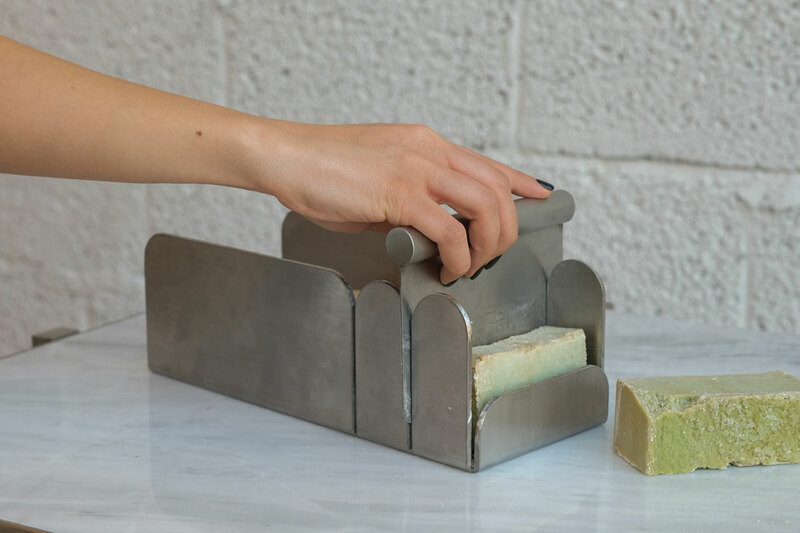 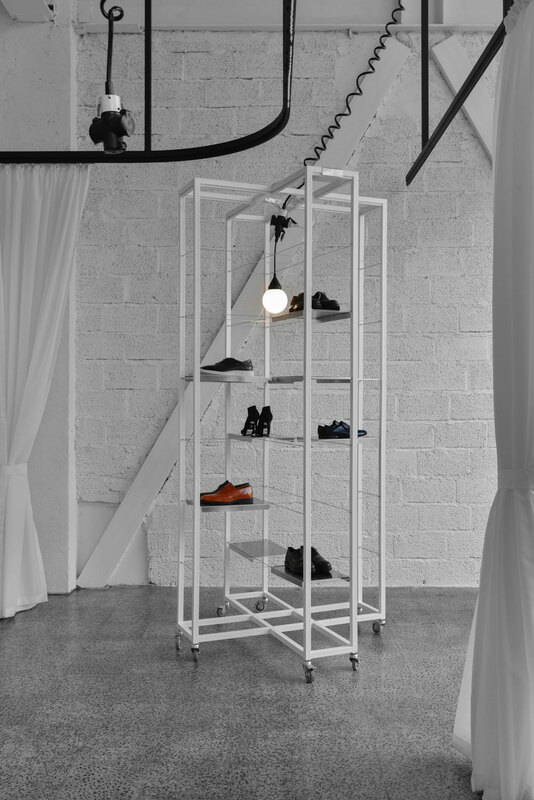 These two systems allow the space to be easily reconfigured when hosting events, exhibitions and special launches, while empowering designers to display their products as they see fit. 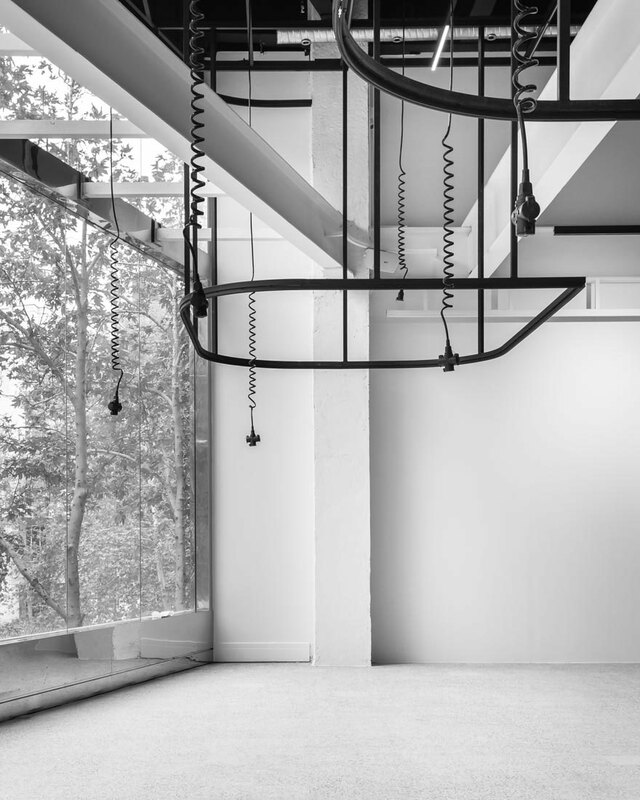 Underpinned by a minimalist aesthetic, the interior design is also a response to the tight budget but as importantly it provides the required breathing space for sharing and developing ideas on modern Iranian design. 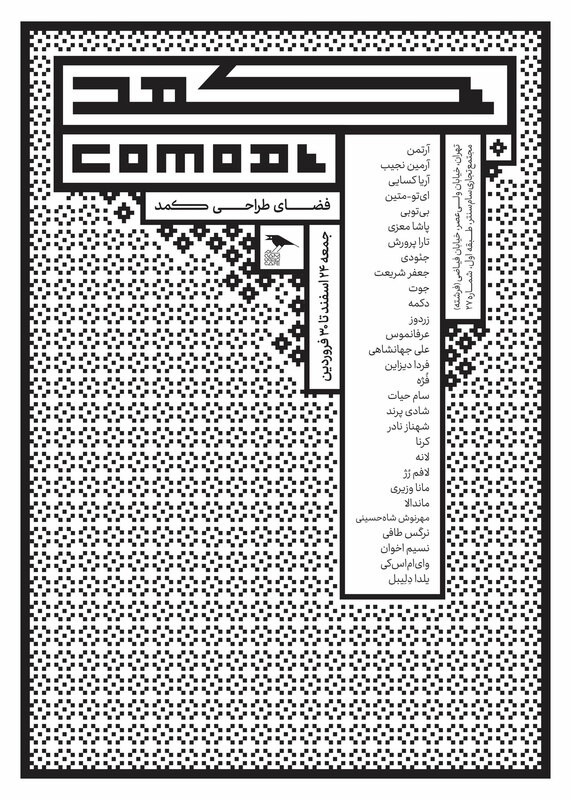 Event poster for Comode. 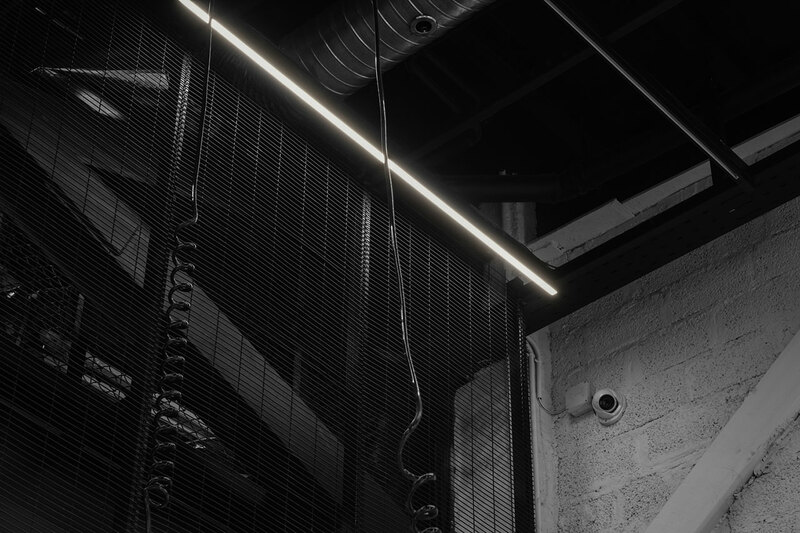 Graphic design by Studio Kargah. 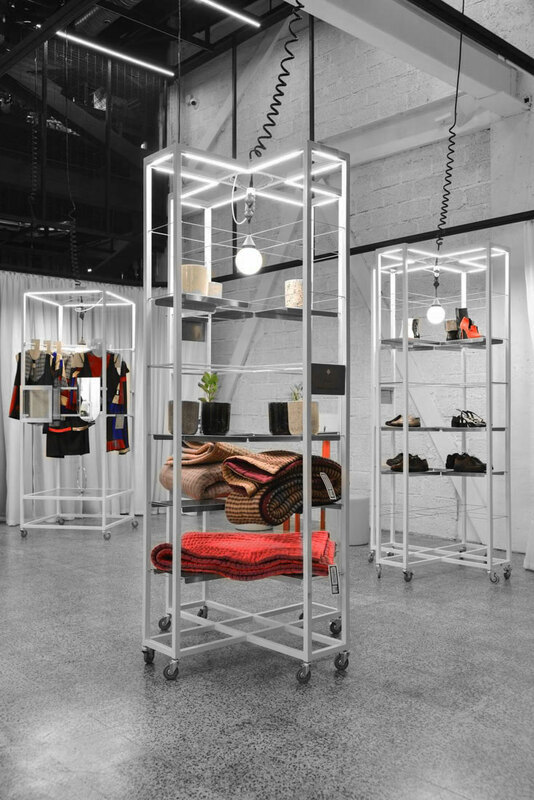 The modular display stands that Momtaz designed come in two types, a wardrobe (which in Iranian is called a ‘comode’, hence the project’s name) and a shelving unit, both of which are portable as they are set on wheels and equipped with flexible cables powering an integral light source. 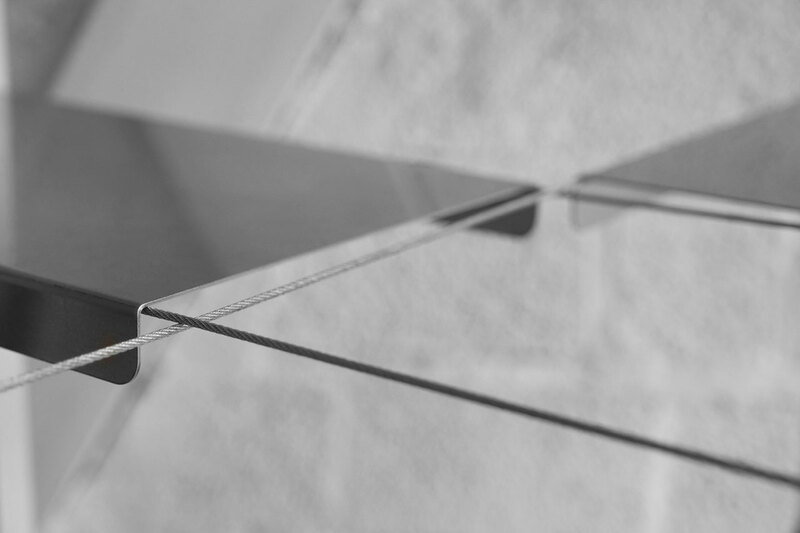 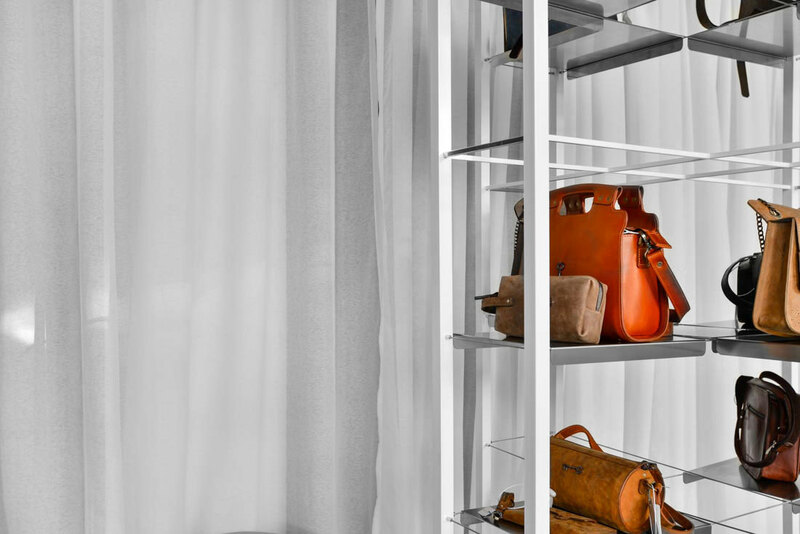 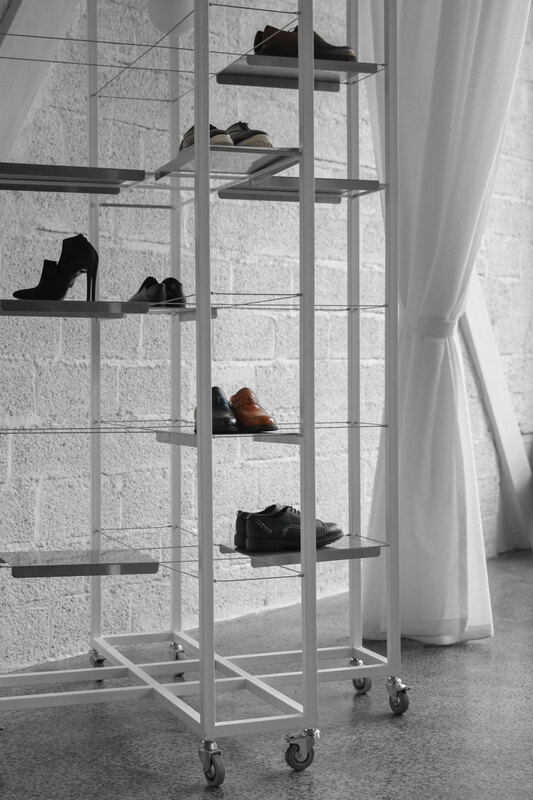 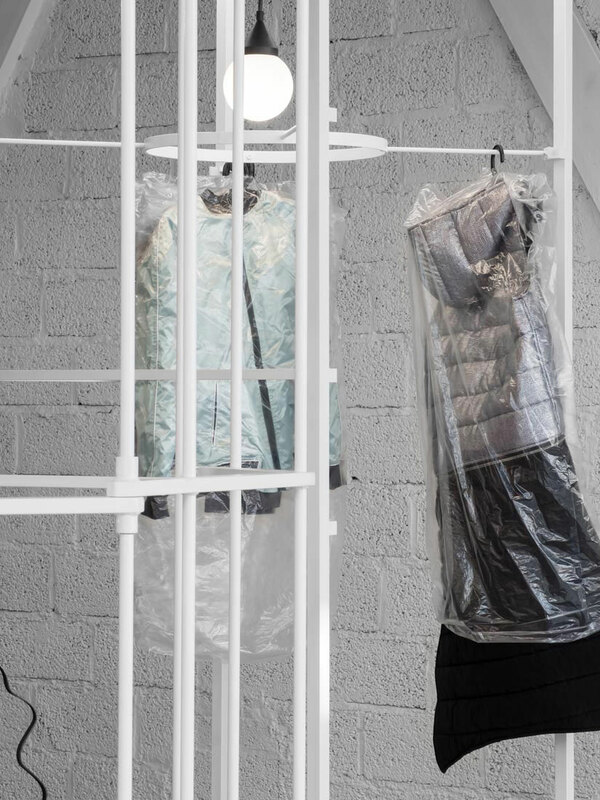 Designed according to the standard proportion of a normal wardrobe, the wardrobe module is a metallic framework that provides a variety of options for hanging clothes and other accessories like mirrors and display cases. 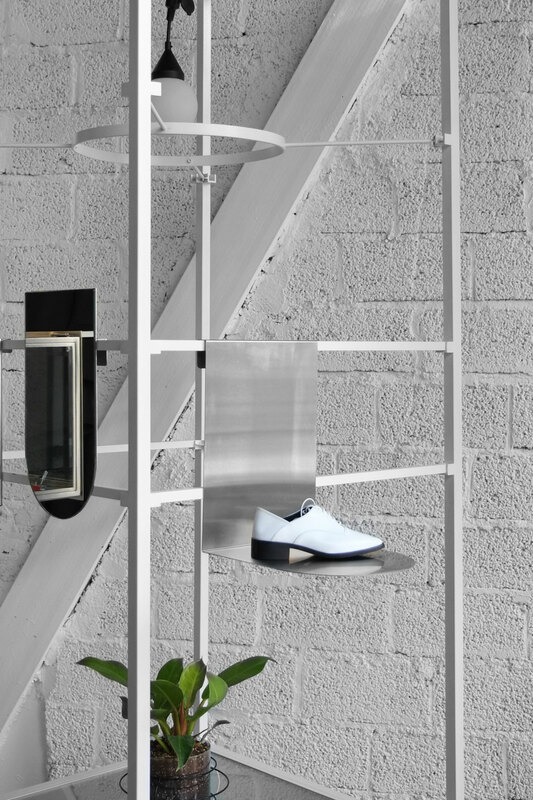 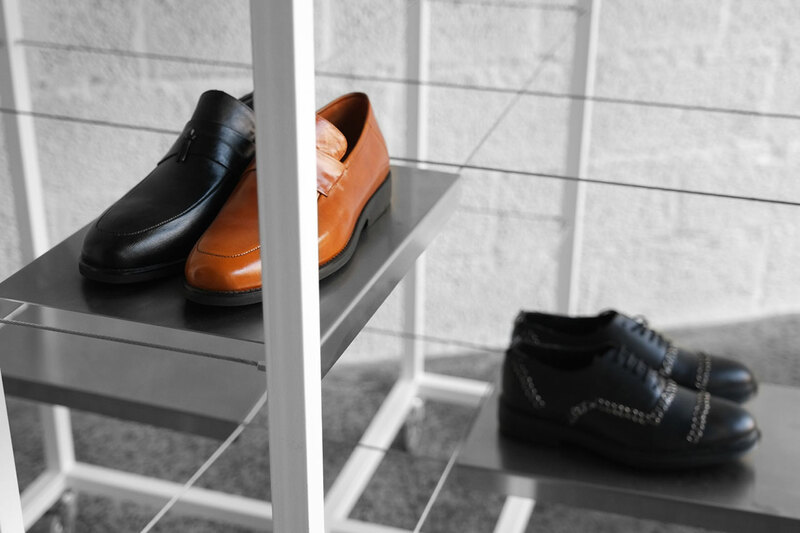 The cruciform shelving units on the other hand are crisscrossed with parallel wires supporting movable metallic shelves that allow designers and merchandisers to select both their position and their quantity. 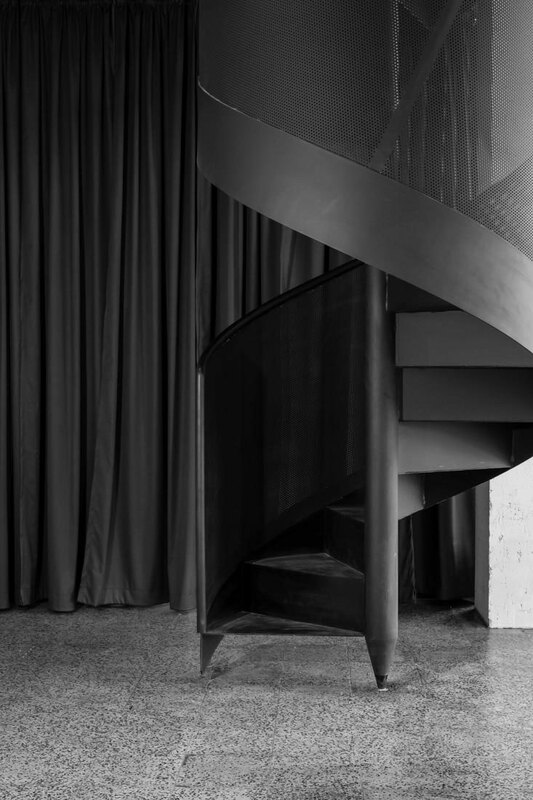 When it came to dealing with the existing space, Momtaz eschewed a heavy-handed approach for a discrete yet radical makeover. 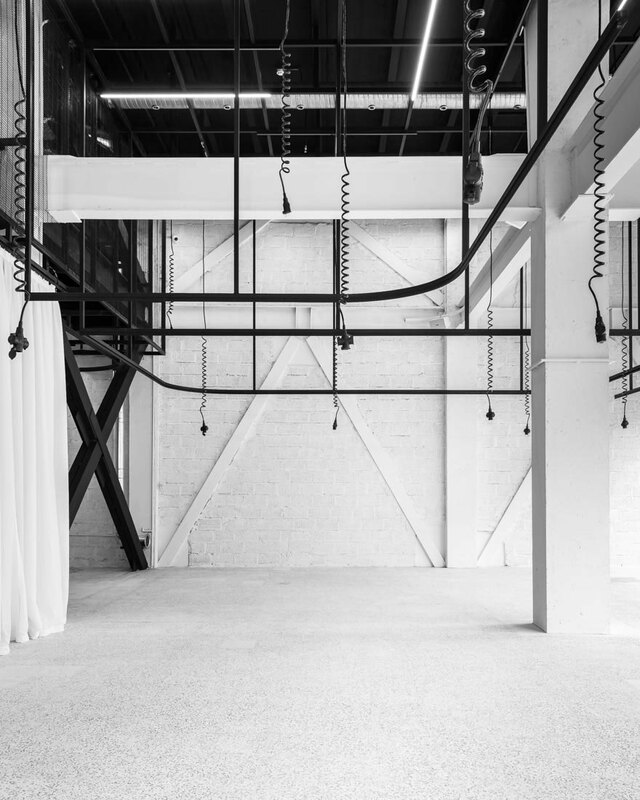 Although the existing building fabric was kept intact, the space was thoroughly transformed by whitewashing all the vertical surfaces, including brickwork, steel posts and girders, in juxtaposition to the ceiling volume that was painted all black and the concrete floor which was treated in a transparent layer of resin. 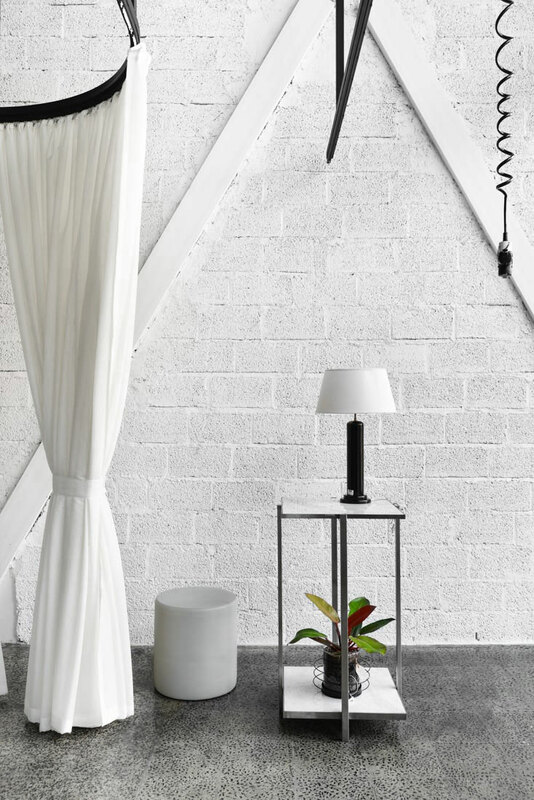 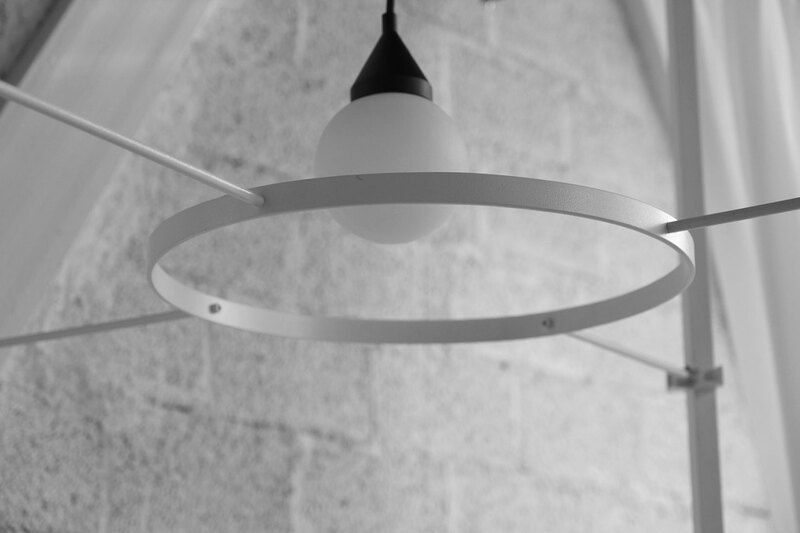 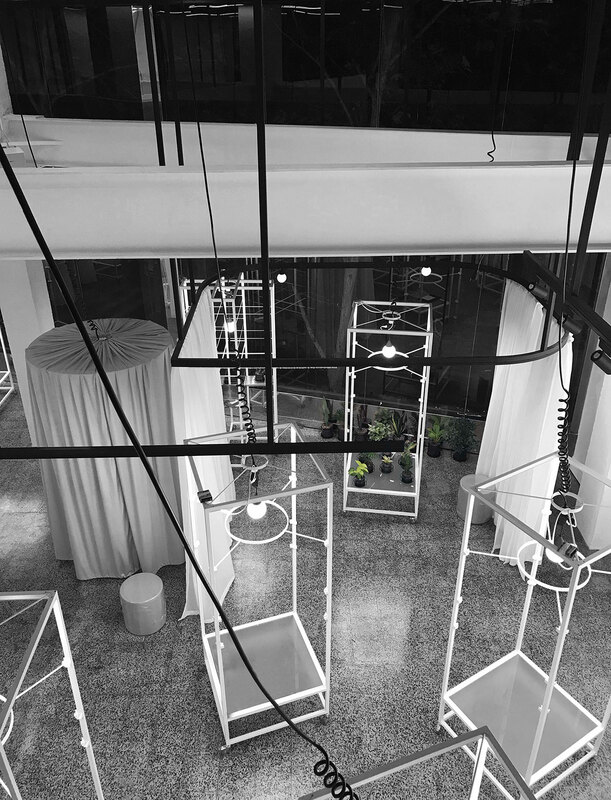 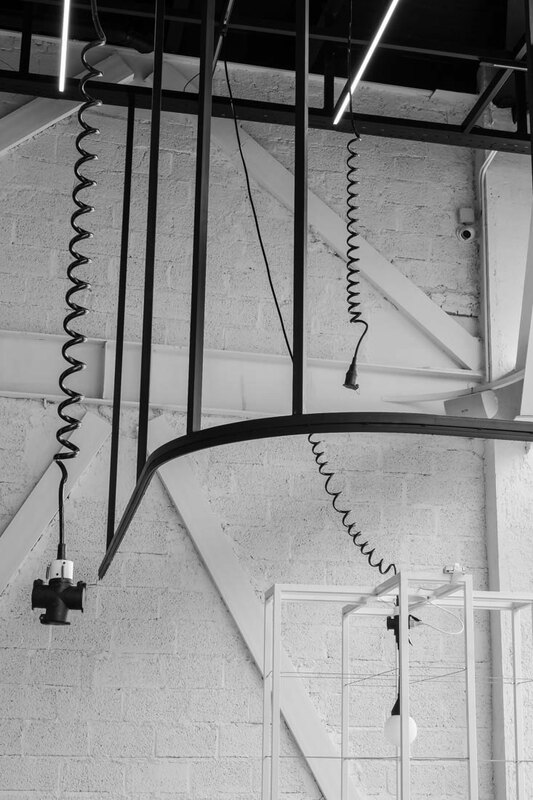 The resulting white and black zones also apply to all the movable elements: both the curtains and the display modules are white, while the curtain rails and the modules’ electrical cables are black. 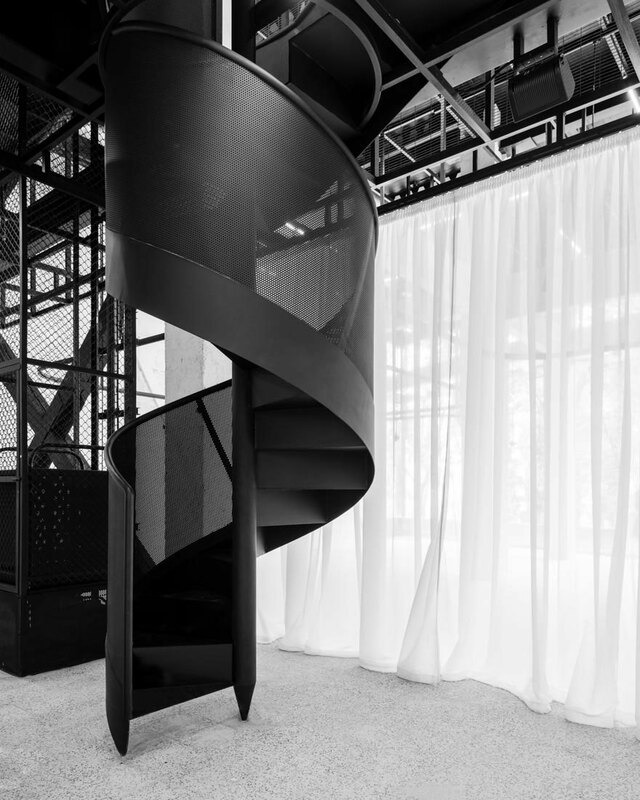 The only feature that disrupts this monochromatic composition is the black spiral staircase which appears to float above the floor as it has been ingeniously designed to hang from the ceiling. 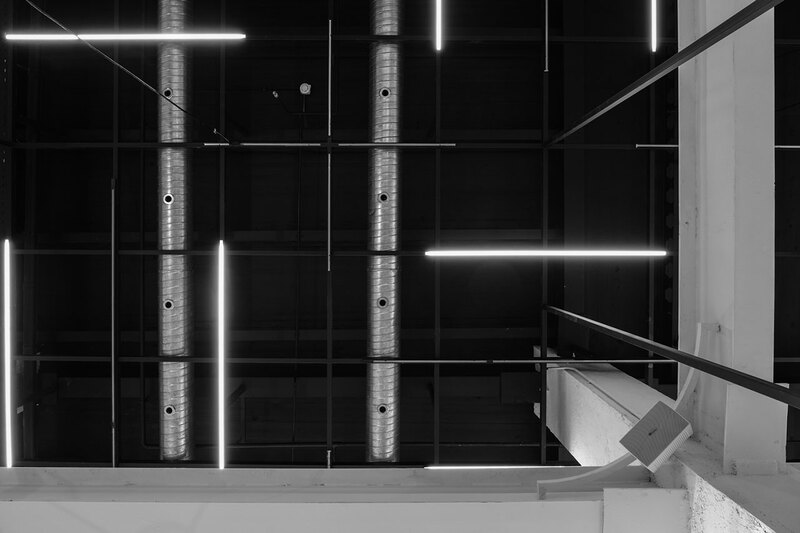 Although it cannot be moved like the rest of the elements that populate the space, its dynamic shape more than makes up for its stationary nature. 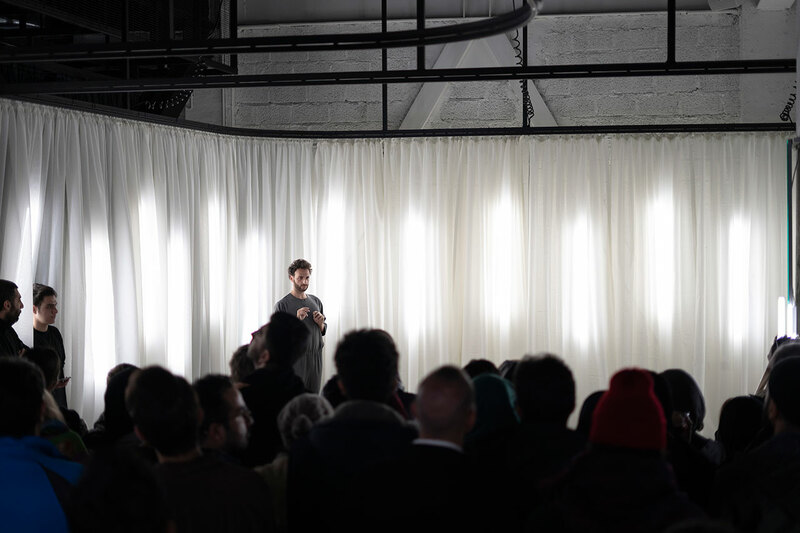 Whether it’s showcasing the latest creations of an Iranian designer, hosting an artistic performance or showing a documentary screening, Comode is a versatile space both in design and spirit.